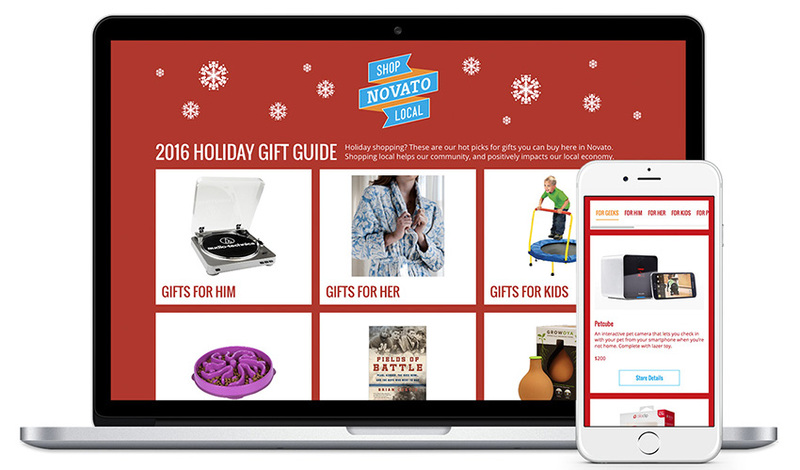 With holiday shopping season underway, we recently launched a Holiday Gift Guide for Shop Local Novato — an ongoing collaboration between local businesses, business associations and the City of Novato — and a social media campaign that gives Novato businesses a well-targeted visibility boost in this age of online retail. Kiosk is proud to be a big supporter of North Bay businesses, in particular our neighboring Novato businesses. We especially encourage pet-lovers to check out Wagster Treats, created by graduates of Homeward Bound of Marin’s Fresh Starts Culinary Academy. Their treats are just one of the gift ideas featured in the Gift Guide, and a great example of the benefits of shopping locally. Wherever you’re based, we hope you’ll consider spending your holiday shopping dollars with businesses that make a difference in your community. Interested in ideas to promote your business year round? Give Kiosk a call.